These are some of the games I have worked on while at Bell-Fruit Games. Please Note: Screenshots of these games have been removed at the request of the company. If you want to view these games first-hand, please visit an appropriate outlet (pub, casino, amusements, etc) or seek publicly available promotional material for these products to view screenshots of these games. A Queen licensed Cat C AWP game based on the popular band fronted by Freddie Mercury. Features video, music and sound samples of Queen throughout the game. Development: C/C++, DirectX graphics API, Windows platform. A Queen licensed Cat C AWP game based on the iconic band fronted by Freddie Mercury. Working in a team of two, I worked on the "Guitar Hero" style feature in particular. A Cat C video AWP game based on the TV quiz show hosted by Chris Tarrant. This is a 3 reel hi-tech £100 jackpot Cat C game, whereas The Colour of Money game I worked on 4 years previously was a low-tech 5-reel £70 jackpot Cat C game. A revamped version of one of the very first Cat C Deal or No Deal AWP games. An original Cat C Deal or No Deal licensed video AWP game. This game was specifically developed for video/digital platforms and is not available on mechanical/analogue fruit machines. Worked in a team of two. A Cat C video AWP game with roulette super feature. A Cat C video AWP game from the popular Deal or No Deal franchise featuring a bagatelle game. Worked in a team of two on this project. A Cat C video AWP game from the popular Deal or No Deal franchise. A Cat C video AWP prince-princess-dragon-fairy themed game with a 'wheel of fortune' style Enchanted Castle feature. A Cat C video AWP game from the popular Deal or No Deal franchise. Implemented a nice looking swirling vortex visual for the top game board. A Cat C video AWP parrots and pirates themed game. An unofficial sequel to "Cash Ahoy" which i also developed. A Cat C video AWP game with smash 'n' grab and streak feature. A Cat C video AWP game converted from the successful mechanical game of the same name. A video SWP quiz game based on the very popular prime time TV show hosted by Stephen Fry. Development: C++, OpenGL graphics API, Windows platform. A Cat C and Cat B3 video AWP game based on the TV quiz show hosted by Chris Tarrant. A video AWP game with Las Vegas theme for the Italian market. A variety of Las Vegas themed features. Development: C/C++, OpenGL graphics API, Linux platform. A monsters, ghosts and ghouls themed video SWP game. A video SWP game similar to the popular Deal or No Deal SWP game. A video SWP game based on the successful TV show. The player is required to answer music questions, gaining points, which lead to cash prizes. A Cat C video AWP game where the player plays 'draw poker' and can gamble wins in a hi-lo ladder climb. There is a feature game where the player plays an interactive money streak. This is a video based SWP-style game developed for the new USA gaming market. I developed a full 3D based environment with model loading, XML based level data loading and integrated Bullet physics for realistic golf ball and environment interaction. This project was put on hold as the USA gaming market was not deemed mature enough at the time. A video SWP game based on the TV show hosted by Chris Tarrant. The player is required to answer questions and then using their judgement stop a count-up prize value before it 'busts'. A successful game on many SWP platforms, it is still a top SWP game over 3 years after release! 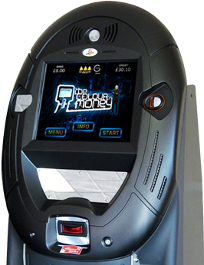 A video and mechanical based triple game designed for casinos and club outlets. A small project, where I was required to enhanced an existing implementation of the initial release of the game, with a new 3D scene (models, lighting, texturing) used in the multi-player feature. Development: C++, DirectX graphics API, Windows platform. A video SWP game based on the popular 'Battleships' game. The player has to locate and destroy the enemy ships in the grid using skill and various bonuses available. Everytime they 'hit' an empty square they have to answer a question to continue. There is also a bonus 'Air Raid' game too. 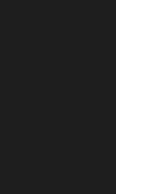 A video SWP game using the John Parrott license. John Parrott is a legend in snooker and also ex-team captain on the popular TV show 'A Question of Sport'. The game is sports quiz-based and the player earns points which equate to cash prizes by answering sporting questions. I got to meet John Parrott too while we filmed some video and recorded audio for the game with him. A video SWP game using the Ronnie O'Sullivan license. Ronnie O'Sullivan is one of snookers most popular players. The game is quiz-based and the player earns break-points which equate to cash prizes. A video SWP game using the popular T.V. show license Family Guy. There is a quiz and skill based main game, a bonus game for each Family Guy character and an end game where the player can win prizes. A Cat C video AWP game which has a reel-based main game and a trail-based feature game. For a super-feature the player gets to play a game with a 'Wheel of Fortune' style wheel, where they can win prizes or become bankrupt at a spin of the wheel! A Cat C video AWP game based on The Deal or No Deal Television show license. The main game is a reel-based game with a feature game. There is also a super-feature where the player can play the Deal or No Deal game based on the T.V. show game. A Cat C video AWP game with an Ambassador wheel as the main game and a fair chance Roulette wheel for the feature game. A Cat C video AWP game with a reel-based main game and a feature game. The theme is based on fireworks and prizes.